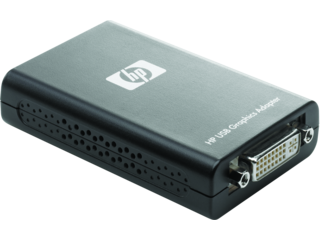 The HP DVI to DVI Cable has either a one-year limited warranty or the remainder of the warranty of the HP product in which it is installed. Technical support is available seven days a week, 24 hours a day, by phone, as well as online support forums. Certain restrictions and exclusions apply. Add an extra layer of security to your notebook with the HP Essential Keyed Cable Lock, designed for any notebook with a standard lock slot. 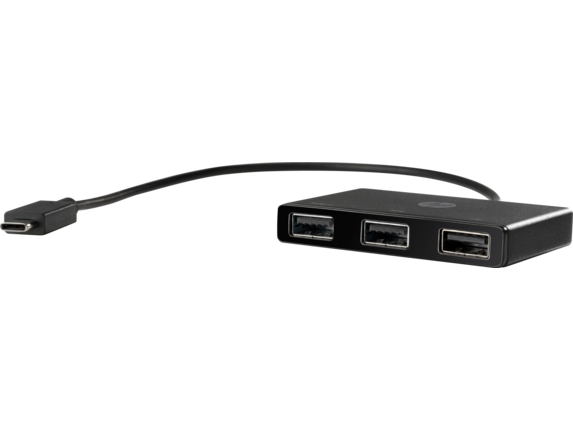 Compatible with all computer equipment with an industry-standard lock slot. Your Option Limited Warranty is a one (1) year (HP Option Limited Warranty Period) parts replacement warranty on any HP-branded or Compaq-branded options (HP Options). 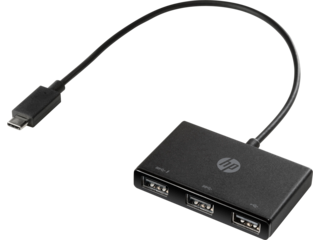 Collaborate on the fly in conference rooms, team rooms, and more when your project your notebook or mobile device’s high-definition video and audio content to an external display, TV or projector with the HP USB-C to HDMI 2.0 Adapter. 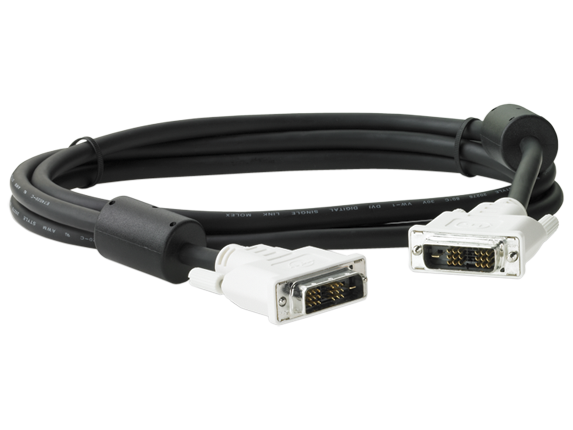 DMS-59 to Dual DVI Cable Kit for NVIDIA NVS series graphics cards - supports AMO DY599A, EE061AA RD069AA and AH050AA. Your Option Limited Warranty is a one (1) year (HP Option Limited Warranty Period) parts replacement warranty on any HP-branded or Compaq-branded options (HP Options). If your HP Option is installed in an HP Hardware Product, HP may provide warranty service either for the HP Option Limited Warranty Period or the remaining Limited Warranty Period of the HP Hardware Product in which the HP Option is being installed, whichever period is the longer but not to exceed three (3) years from the date you purchased the HP Option. 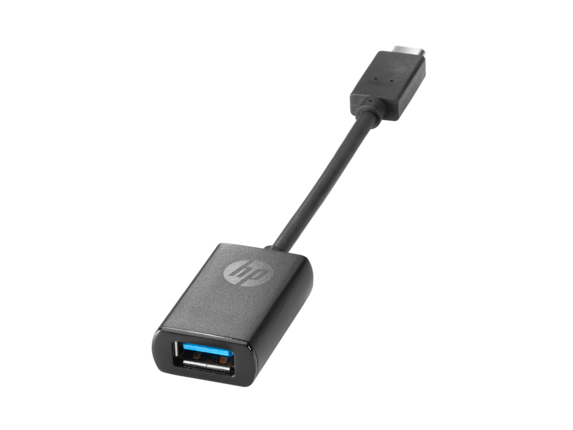 Convert your notebook or tablet’s USB-C™ port to USB 3.0 with the HP USB-C™ to USB 3.0 Adapter. One-year parts replacement limited warranty. Optimize your workspace with easy connectivity to your frequently-used accessories in the office and on the road. Convert your notebook or tablet’s USB-C™ port to a portable, lightweight USB hub and enable simultaneous connections to up to three USB accessories with the HP USB-C to USB-A Hub. The super-compact HP USB Graphics Adapter enables connection of up to six simultaneous displays (one per adapter) to help you boost productivity and multi-task across several open applications. Software: Windows Vista® with Service Pack 1 (32-bit or 64-bit); Microsoft® Windows® XP Home or Professional (including Tablet edition) with Service Pack 3. Hardware: 1.2 GHz or higher processor clock speed, with an Intel® Core™ 2 Duo or equivalent power CPU; 512 MB RAM for a single attached monitor, 1 GB for two attached monitors, and more for additional attached monitors; At least one USB 2.0 port; 30 MB of available disk space; Super VGA (800 x 600) or higher-resolution video adapter and monitor; CD-ROM or DVD drive if installing from a CD or network access if installing from a network; For Windows Vista, the Windows Experience Index must be greater than 3.0. Note: The Windows Experience Index is found under Computer–>Properties. Click on Windows Experience Index to see the Graphics Sub Index Score. 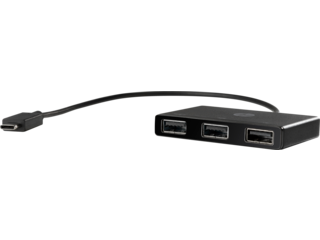 Looking for a way to connect your laptop or tablet to a legacy monitor or to give your device increased functionality? 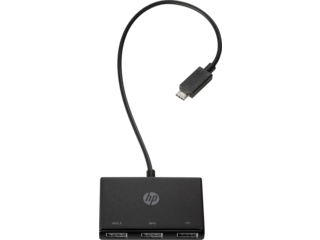 HP® offers a wide range of cable adapters that opens up the possibilities of exactly what you can use with your PC, giving you simple tools that allow you to connect more devices to the screen of your choice with a simple monitor adapter. HP® knows that if your adapter isn’t compact, chances are you won’t use it. And if you do, you may end up with a setup that restricts your workflow. Well, that’s why all of our adapters have as minimal of a footprint as possible. No matter whether you only need to use them every once in a while for meetings or every day you’re in the office, you won’t have to worry about them getting in the way or taking up too much space in your bag. These adapters can often be a lifesaver in just about any environment. No one likes being unable to show off their presentation at a meeting because of a simple case of port incompatibility. Make sure you show up prepared and ready to go with an adapter that will help you give your best performance yet. 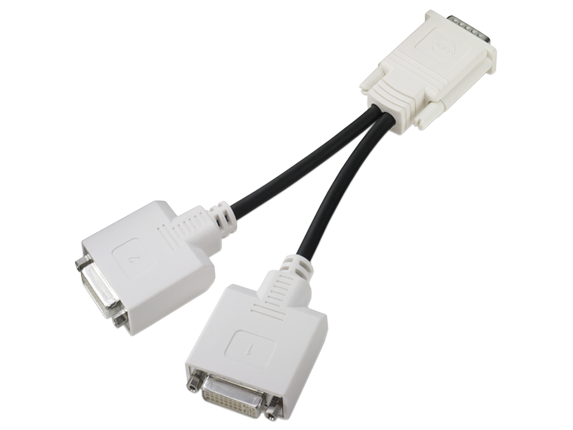 If you regularly need to use older equipment that doesn’t have a common connection, these monitor adapters are a great choice for interfacing. 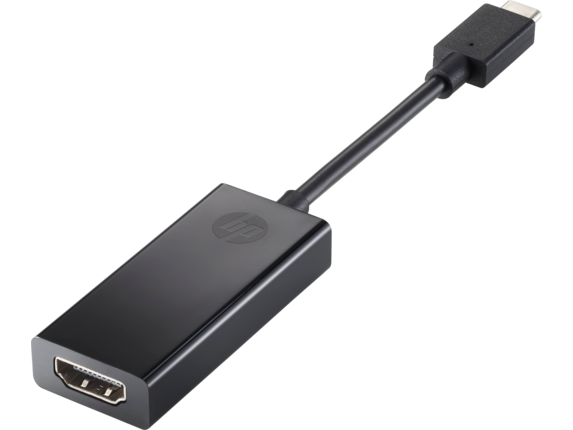 HP® offers a wide range of options for standards that include the HDMI to DVI adapter, the DisplayPort to DVI-D Adapter, and other varieties to streamline your setup. 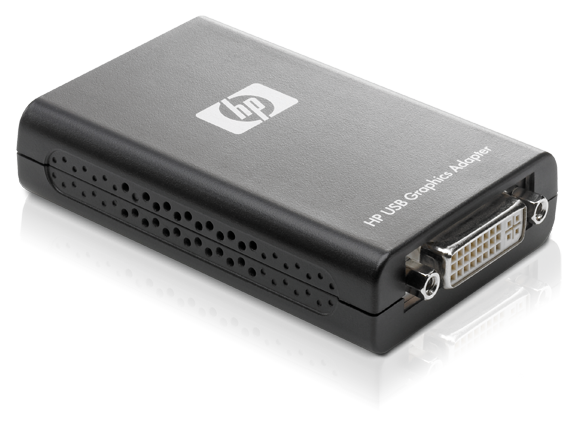 No matter what kind of connection that you need to make, you’ll be able to make it happen with an HP adapter. Do you work in an environment where it’s necessary to keep your PC assets secured from theft? HP® can help there, too, because we offer a wide range of cable locks to keep PCs safe and secure, exactly where you want them. Our locks are available in both the combination lock form and as a key lock, letting you take control over how they’re managed. 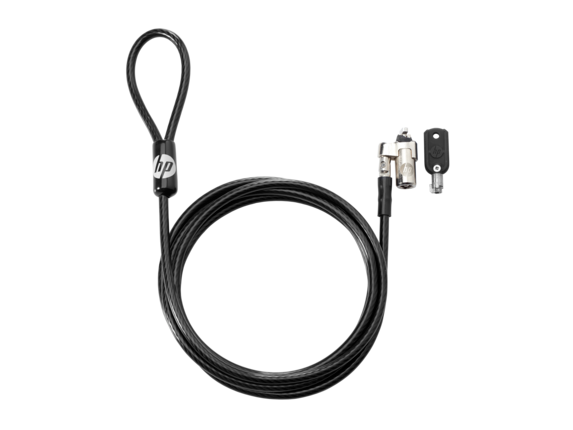 And with a galvanized steel cable, you won’t have to worry about would-be thieves taking your assets anywhere. 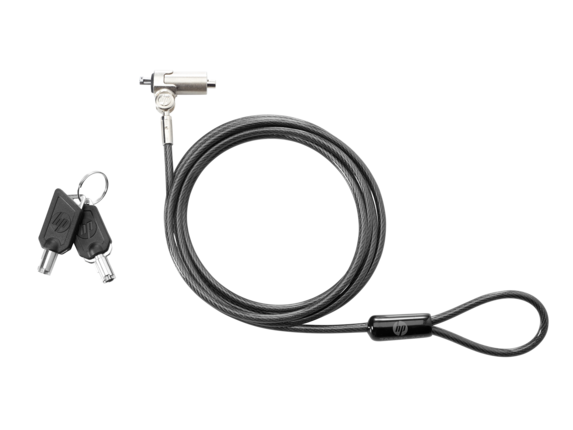 All of our cable lock models include a cable head that swivels intelligently, too, allowing you to avoid tangles and retain an organized and professional appearance.